Well, missed posting last night but did enjoy dinner out with my daughter and son-in-law, even if it did result in another costume assignment..sigh! Finished Debbie’s Dino quilt yesterday. 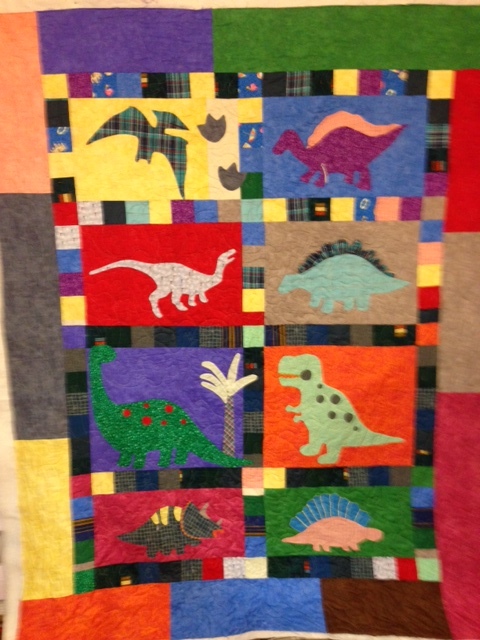 It is such a boy’s quilt,complete with 3 dimensional dino parts. 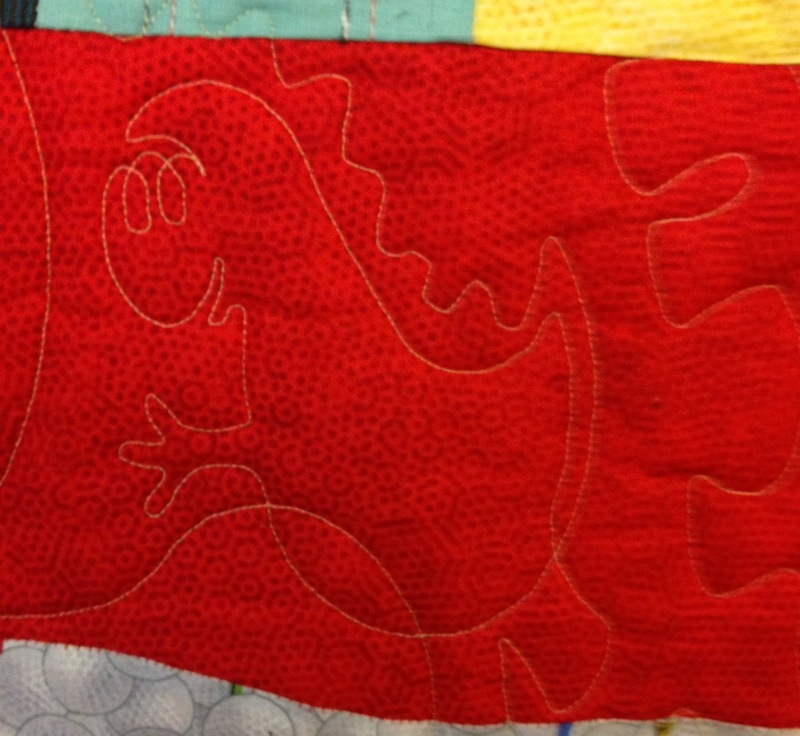 I quilted it all over with the cutest edge t edge design depicting all kinds of dinos.